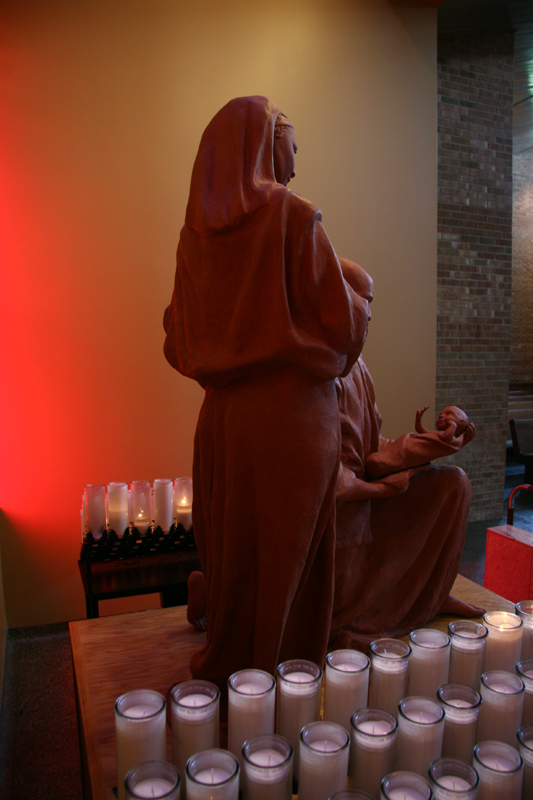 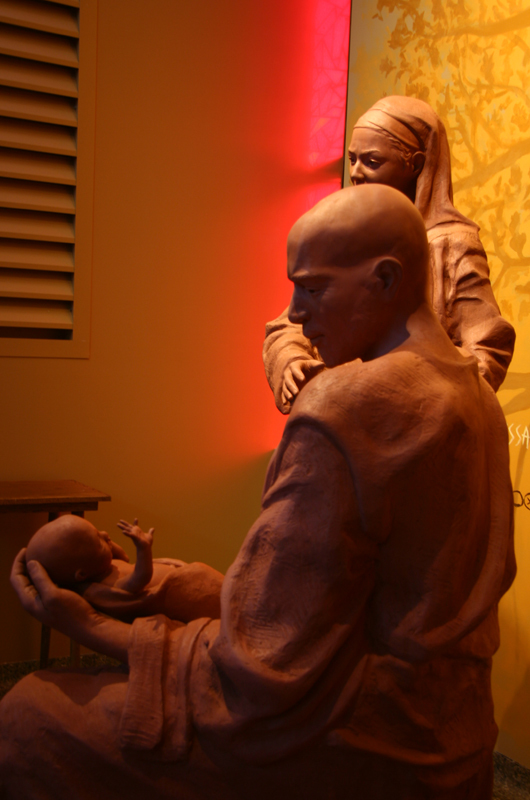 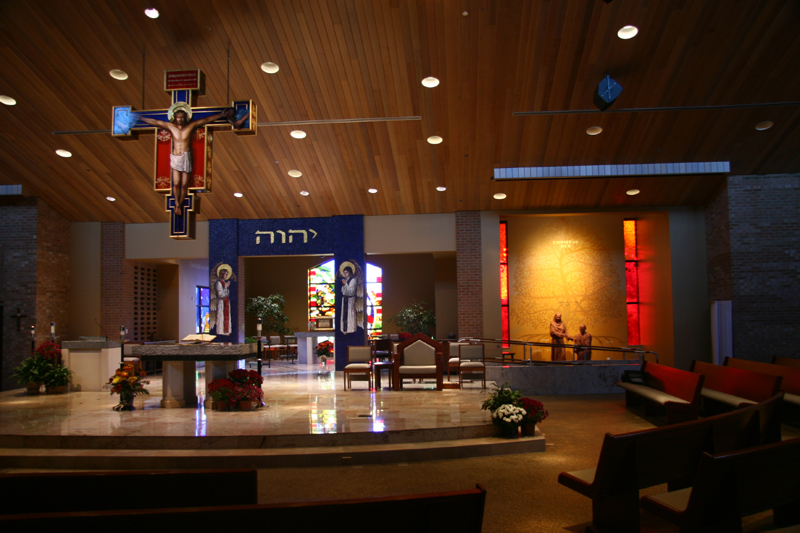 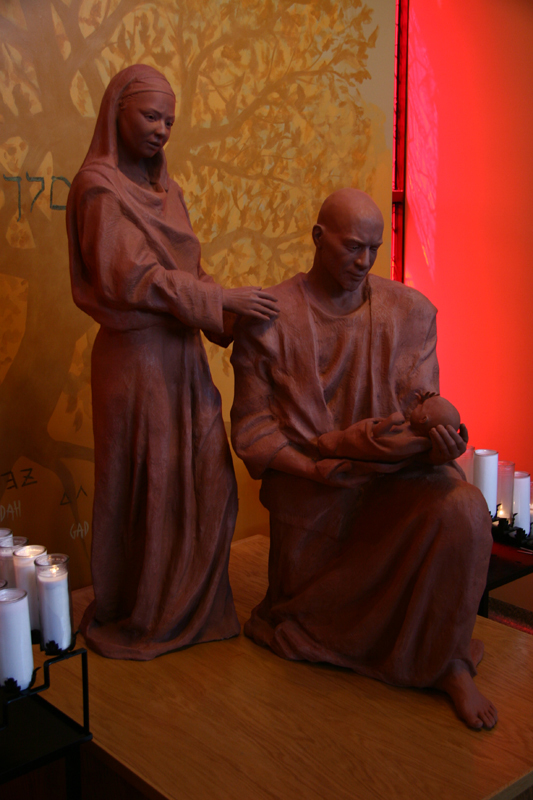 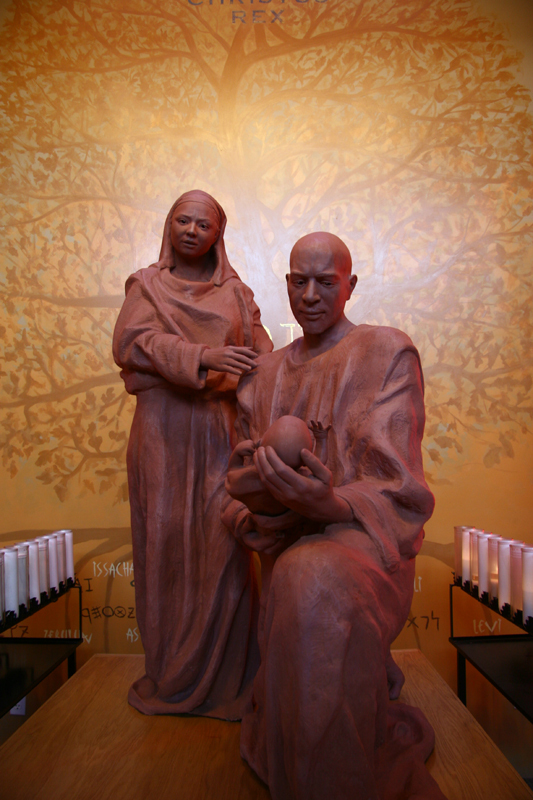 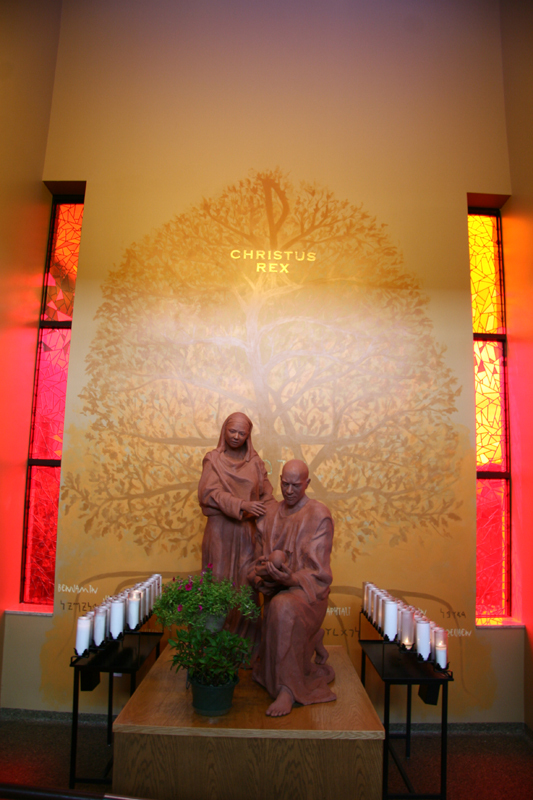 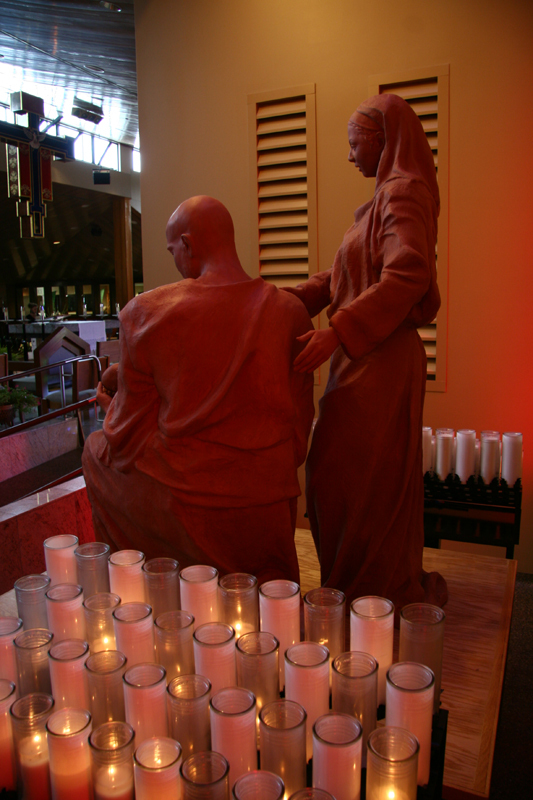 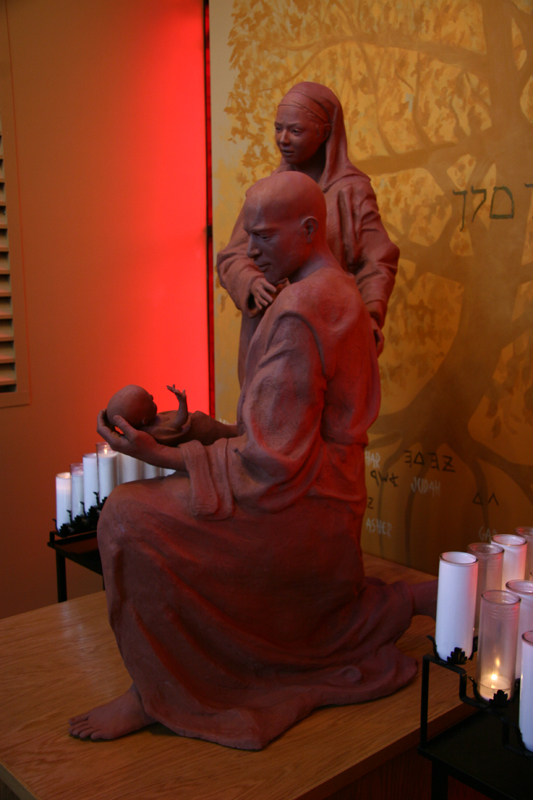 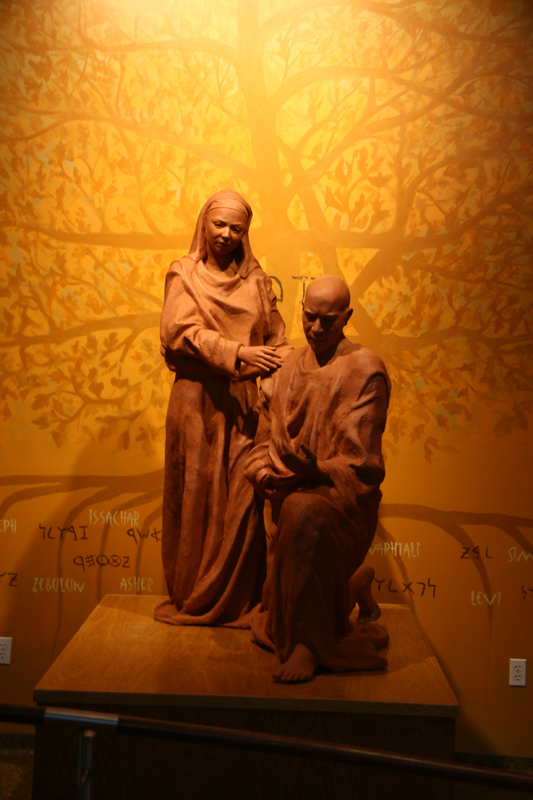 The Holy Family at St. Catherine’s of Sienna catholic church in Portage Michigan is an advent sculpture depicting the holy family Mary and Joseph, and the infant Jesus, who is removable from Joseph’s hands for the advent month leading up to Christmas. 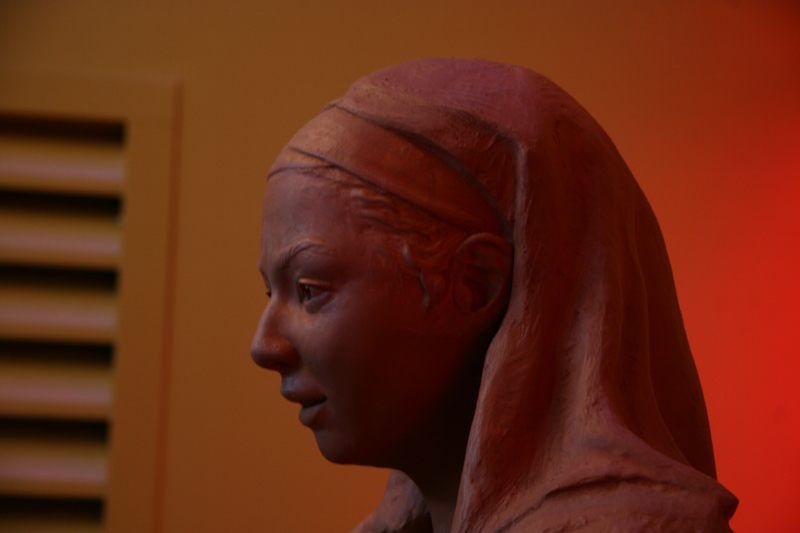 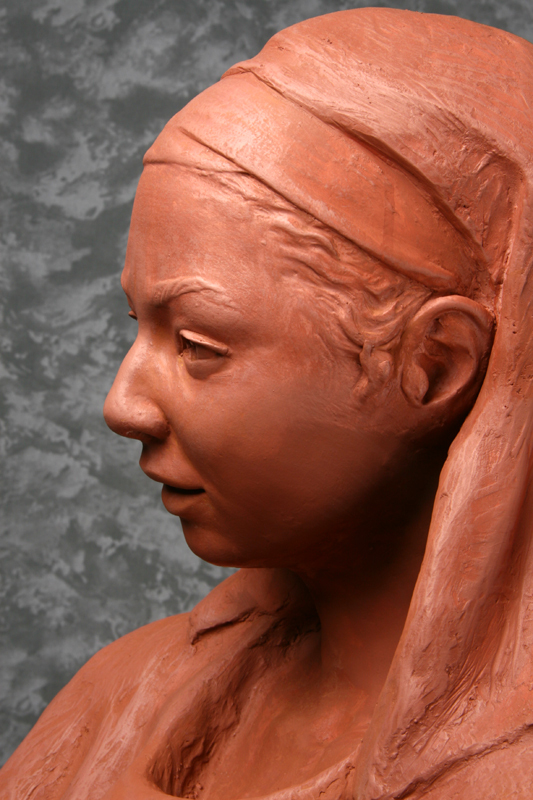 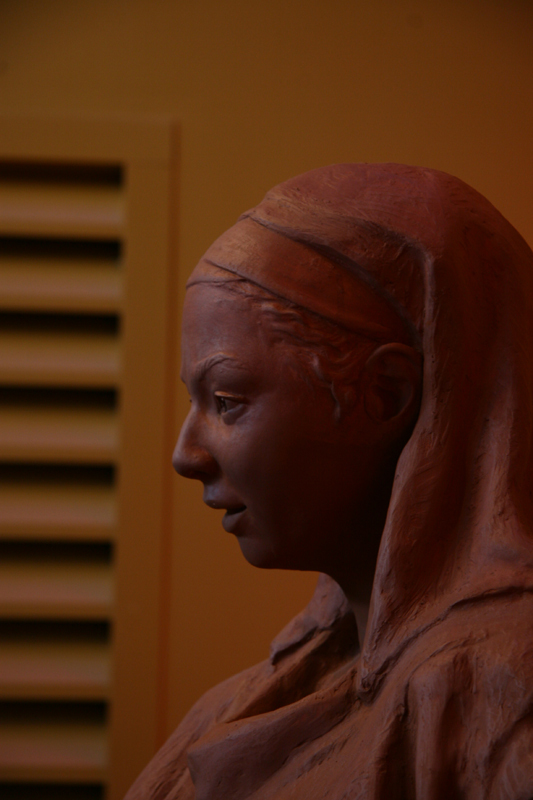 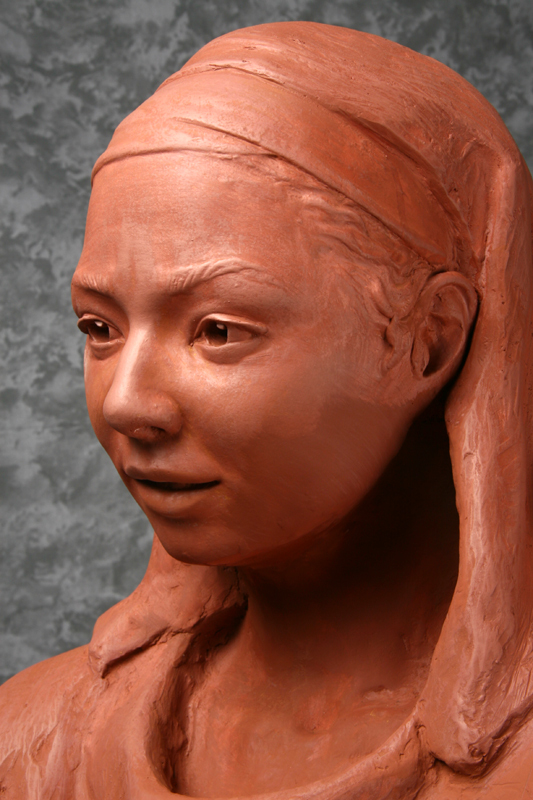 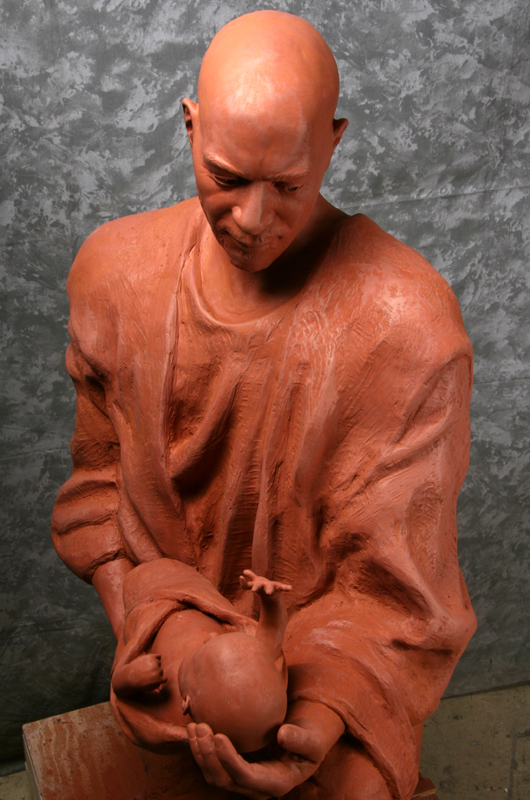 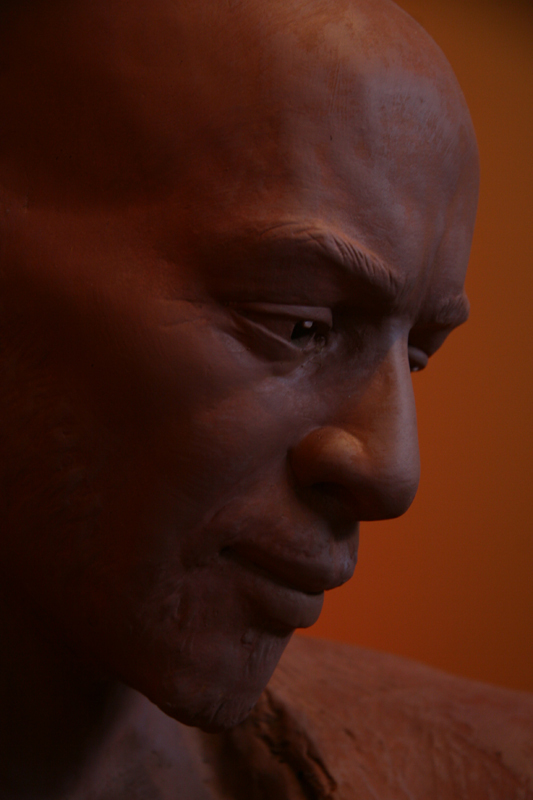 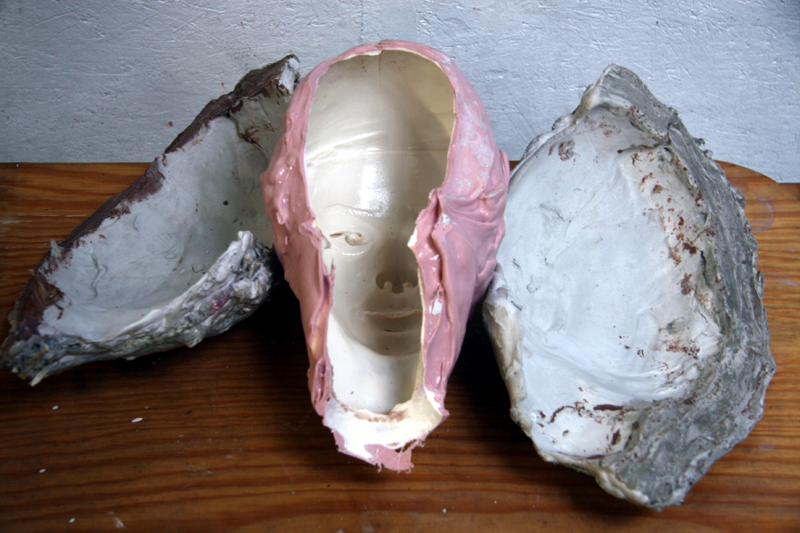 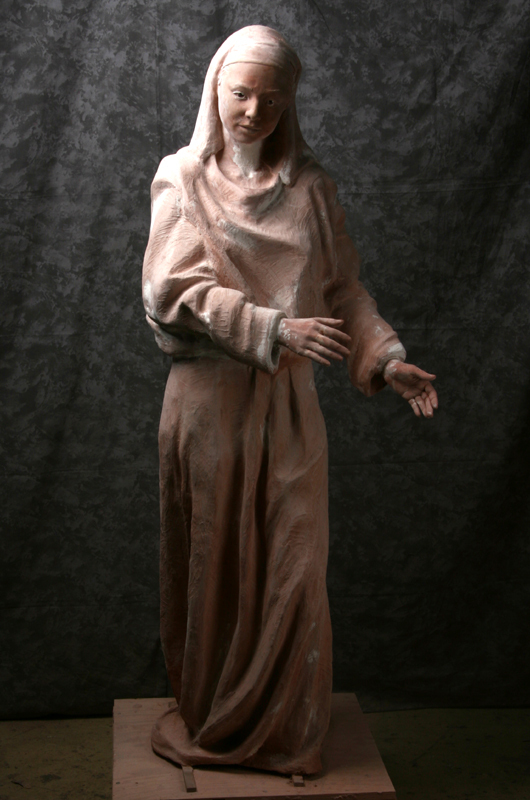 While the sculpture appears to be made of clay, it’s actually made of stained cement built around a steel armature. 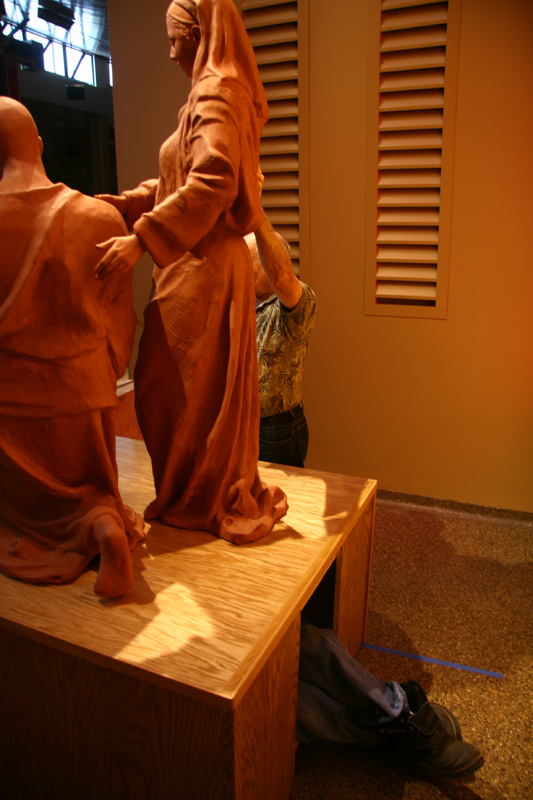 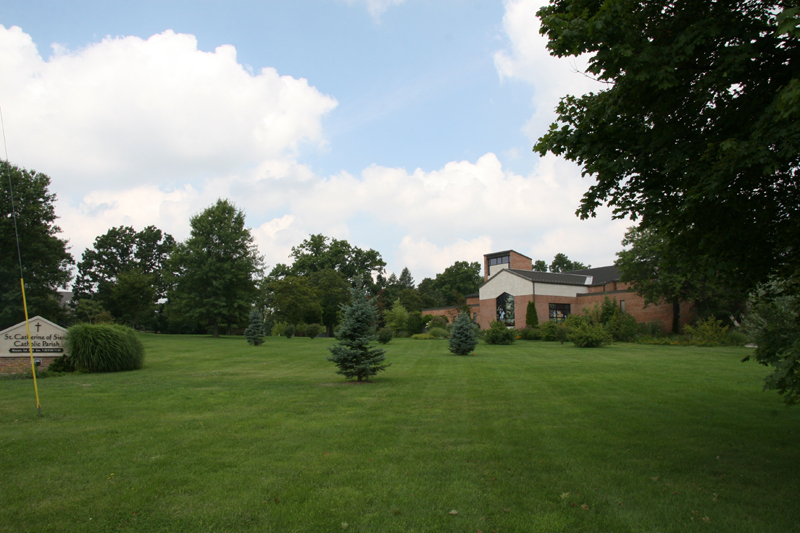 The figures were built in the summer and fall of 2009, and dedicated on advent of that year. 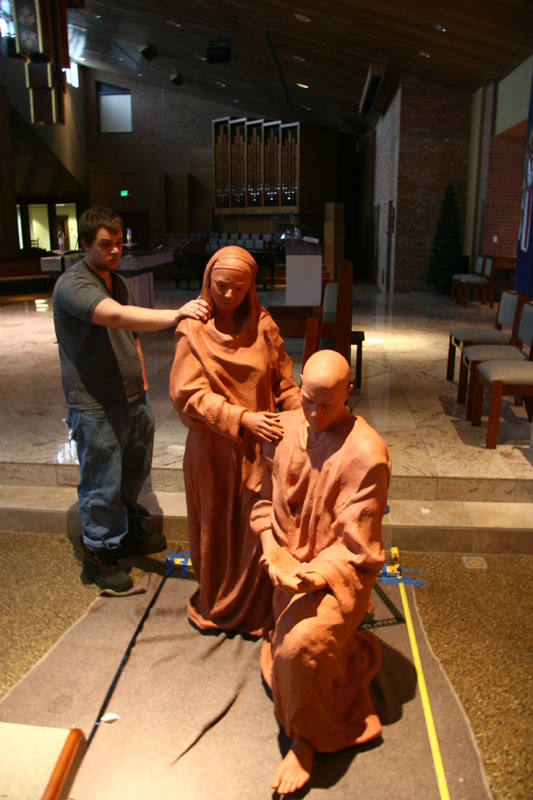 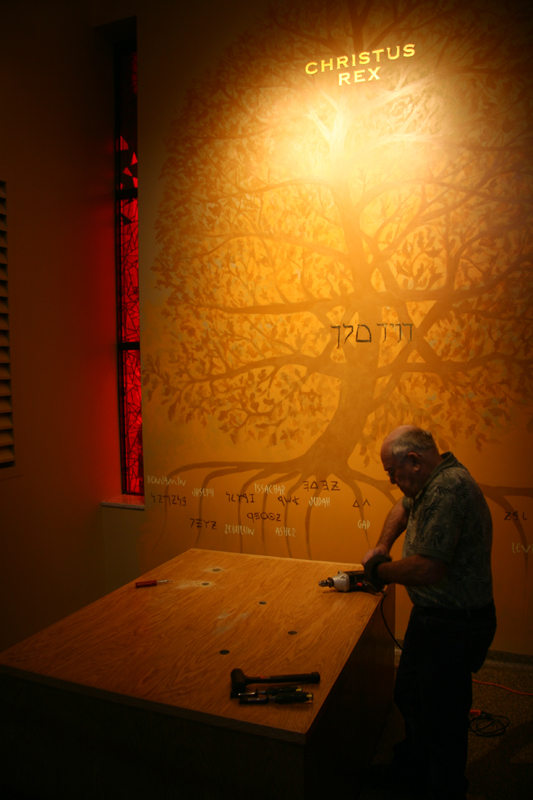 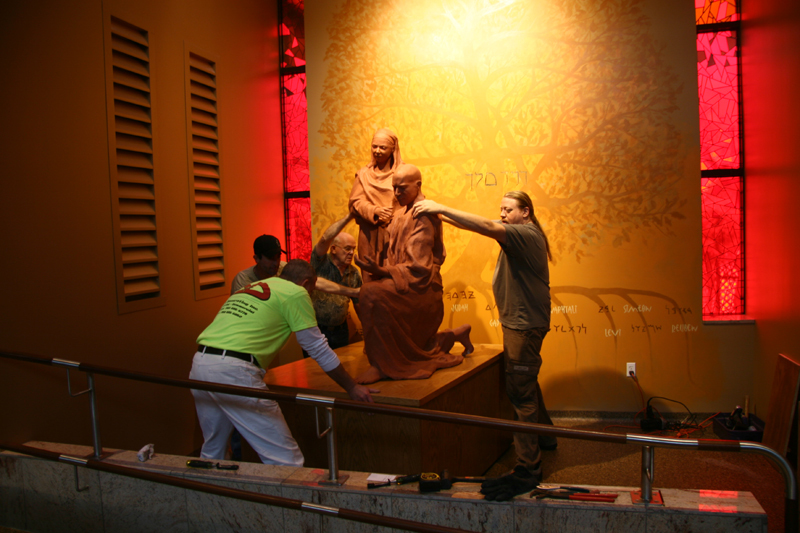 We wanted to do something a little different than the typical holy family scene, while still not breaking too much with the traditional character of the churches existing art. 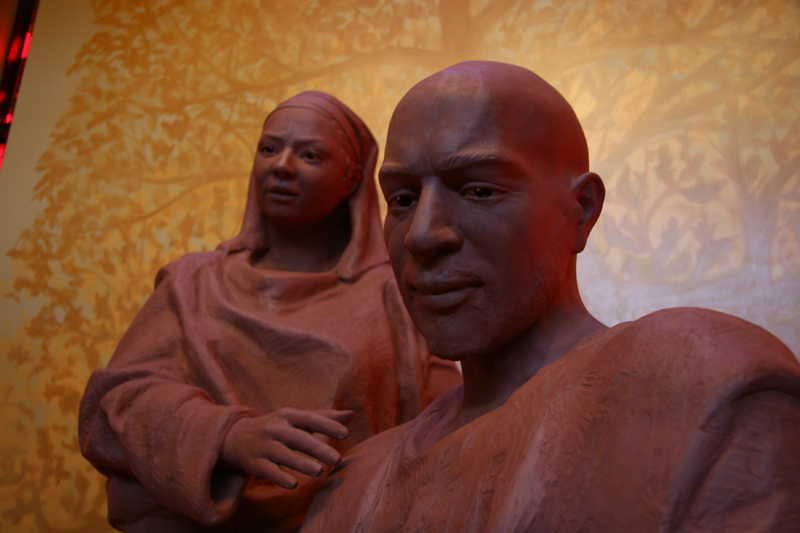 It was decided to make Joseph visibly older than Mary, as well as give them a more north African appearance, since they likely were both these things. 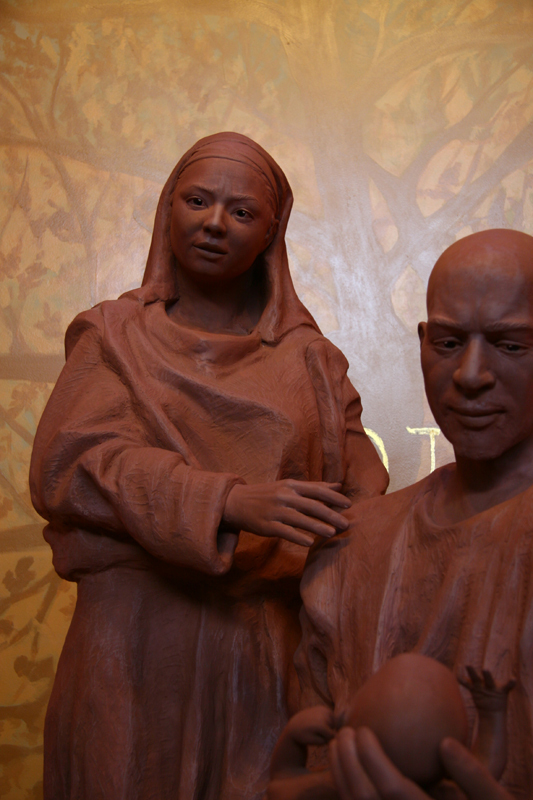 Joseph is an interesting figure in the New Testament. 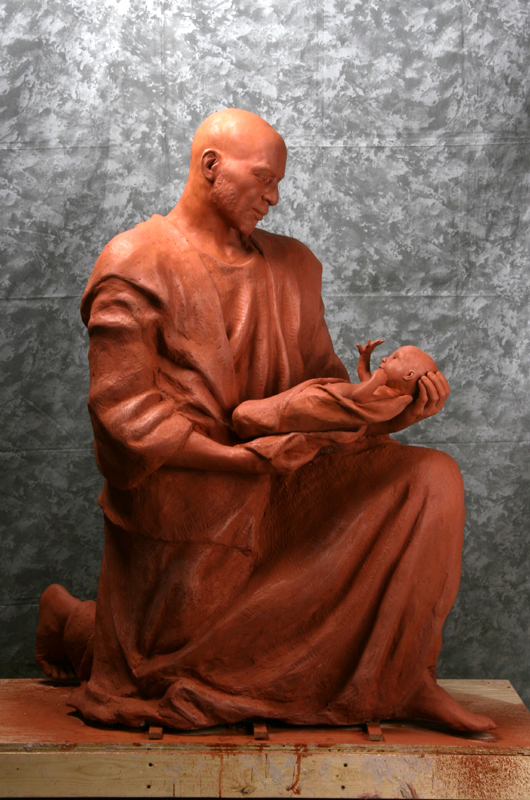 He raises a child that’s not his own, yet is seldom acknowledged for that. 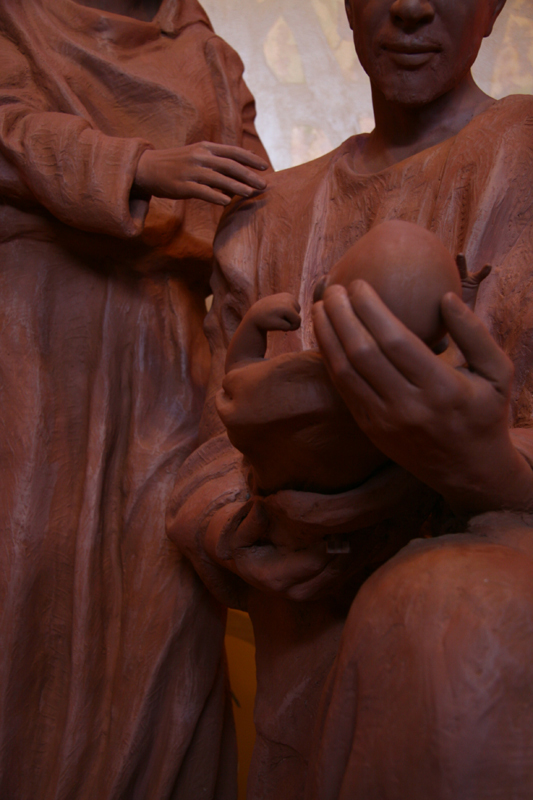 It was decided to place the Christ child in Joseph’s hands, making him the active parent in the scene. 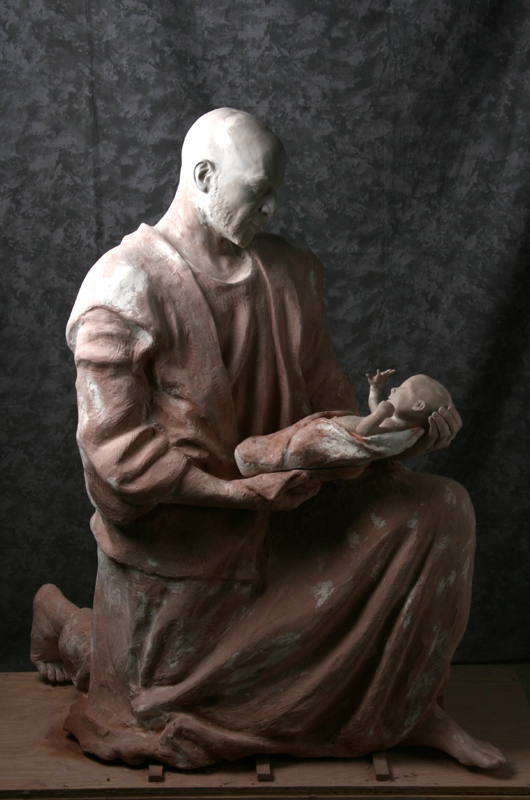 He’s meant to be holding and considering the baby, contemplating the weight of responsibility he’s been given. 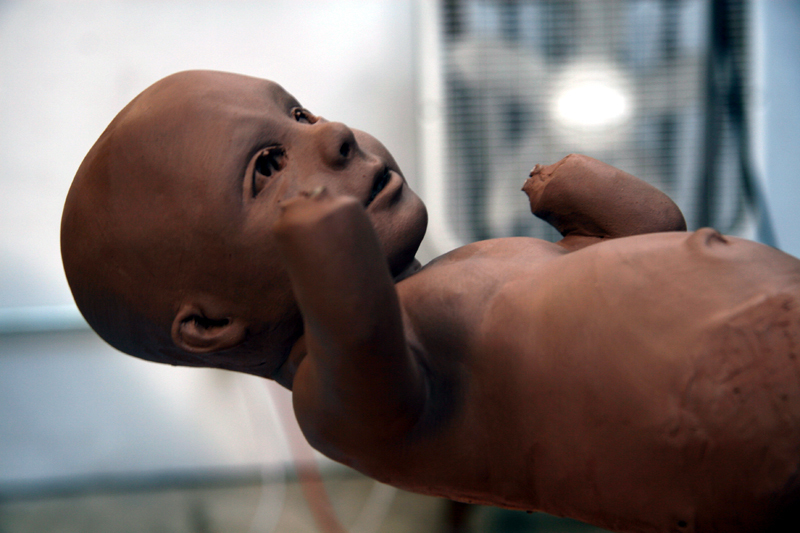 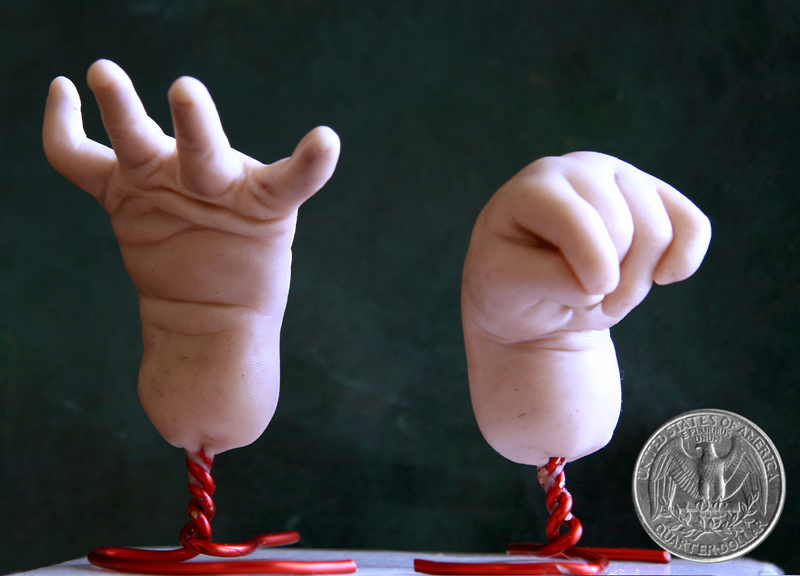 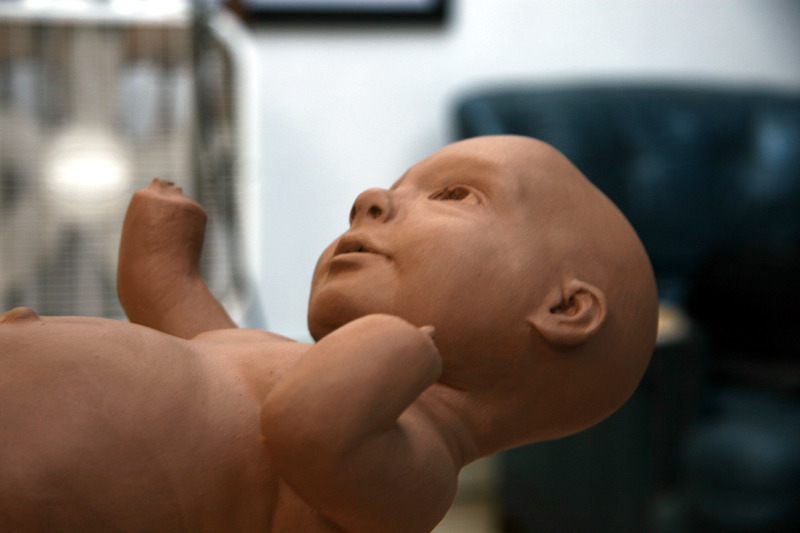 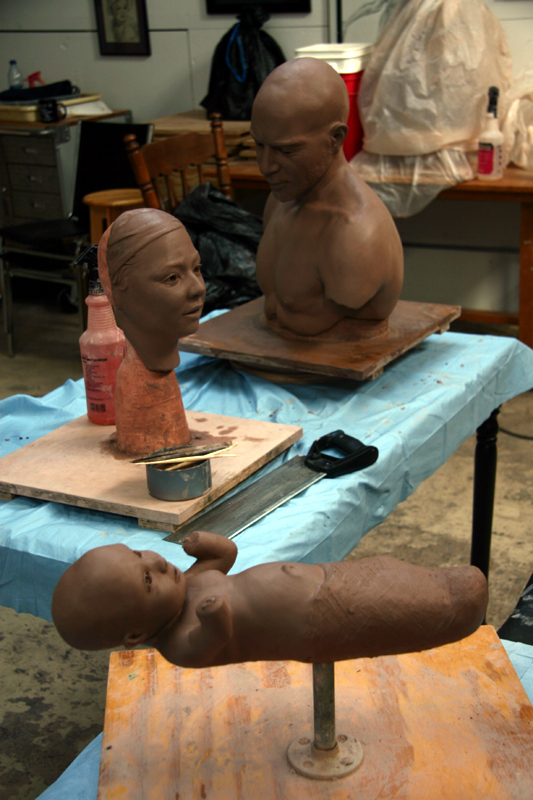 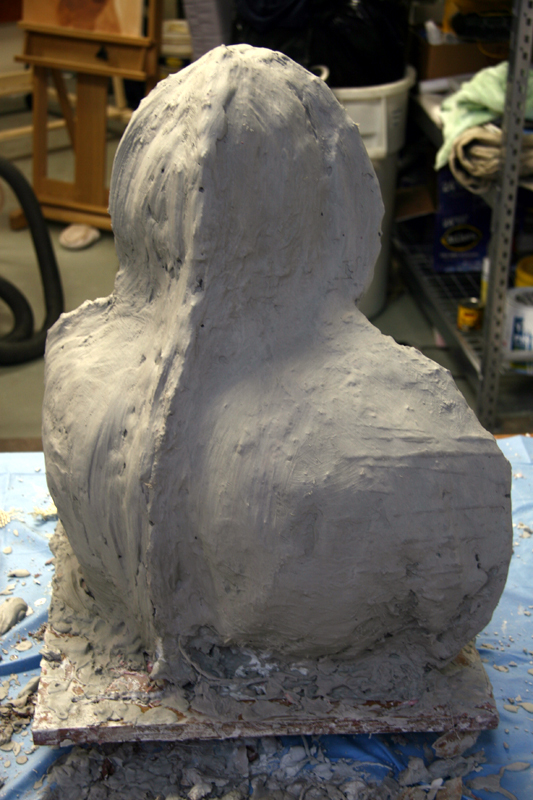 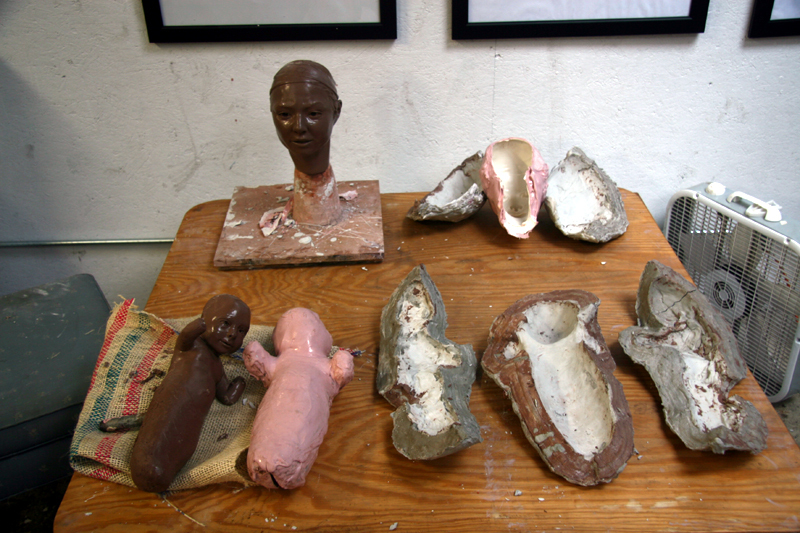 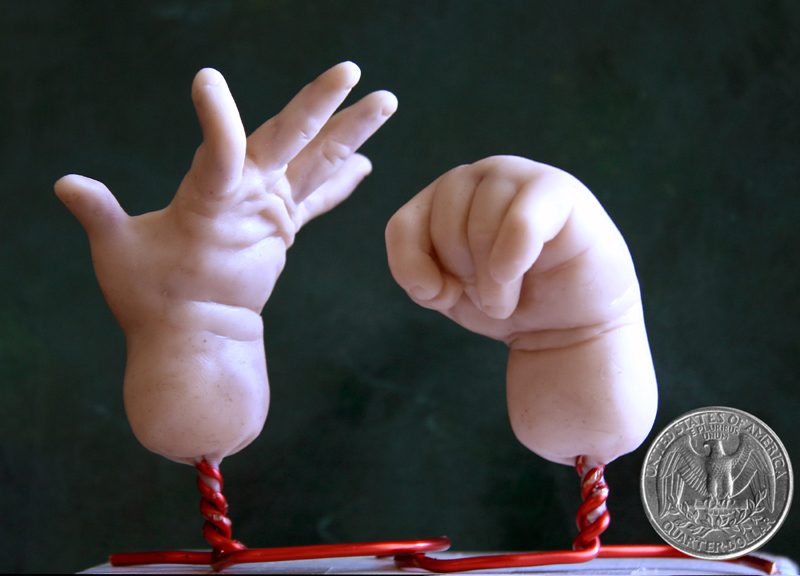 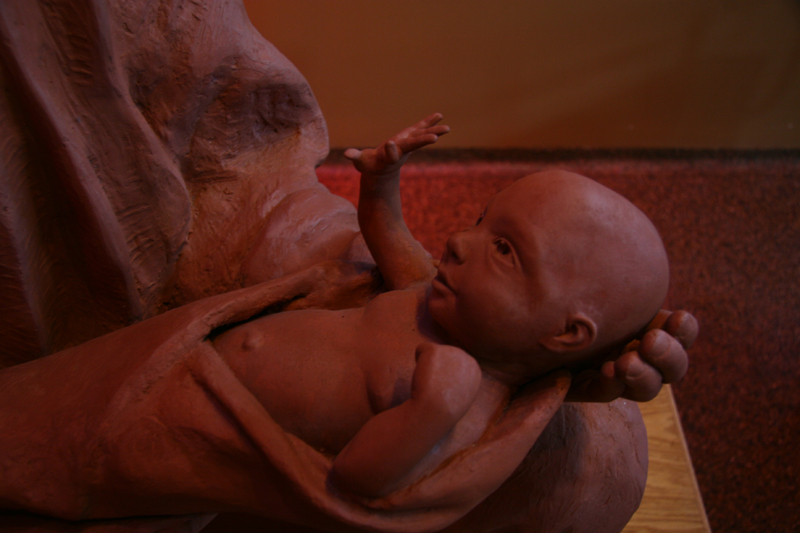 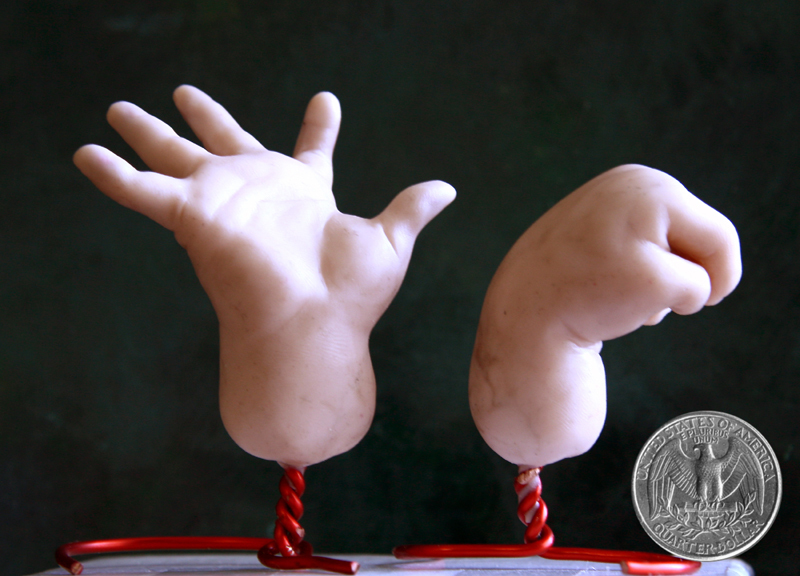 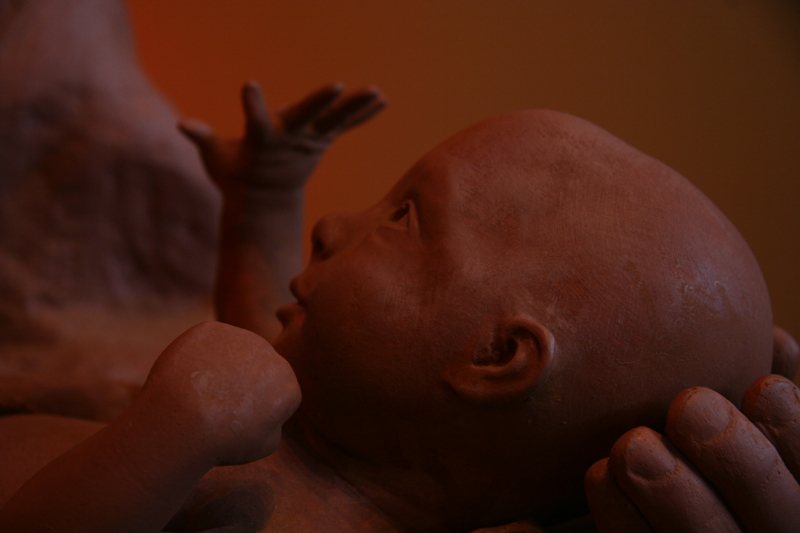 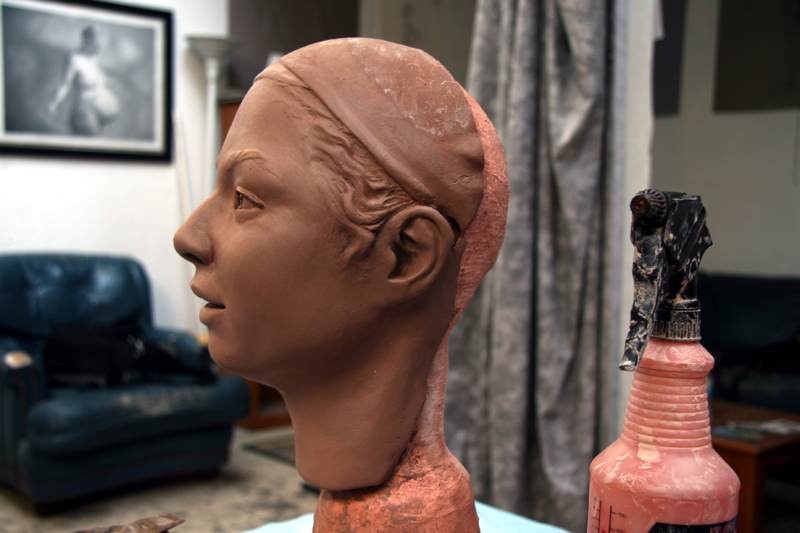 The heads, hands and feet, as well as the baby, were sculpted and cast in concrete then mounted onto a structural steel armature. 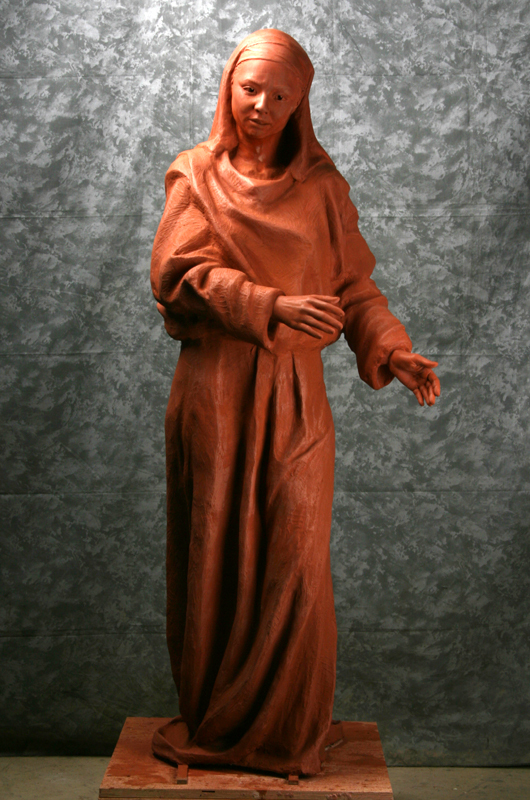 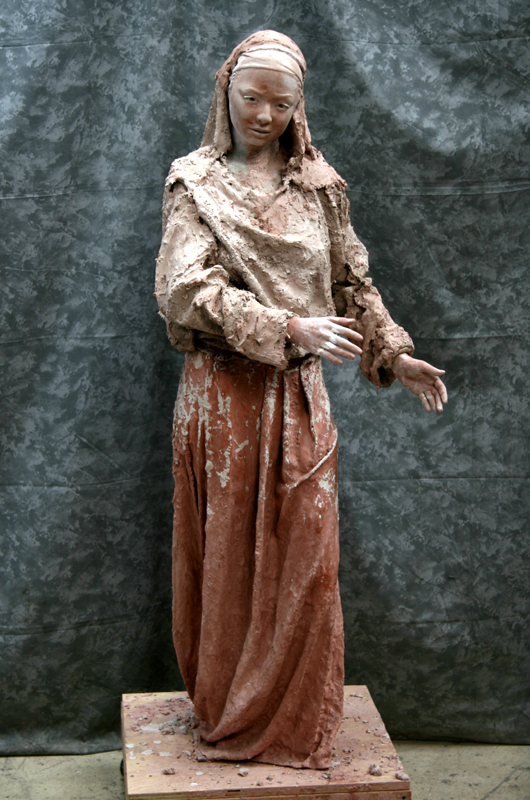 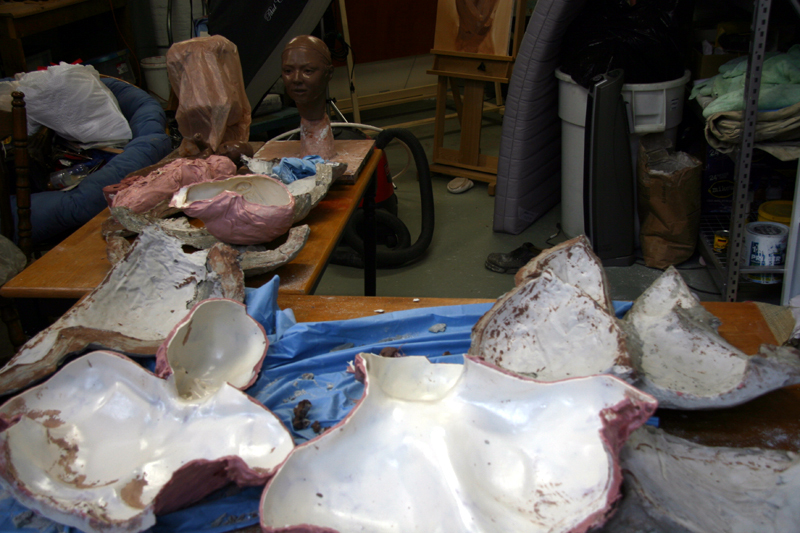 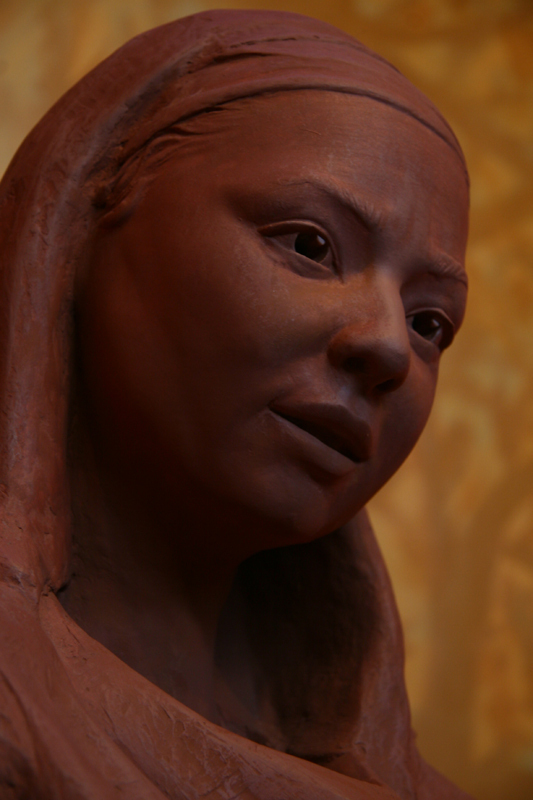 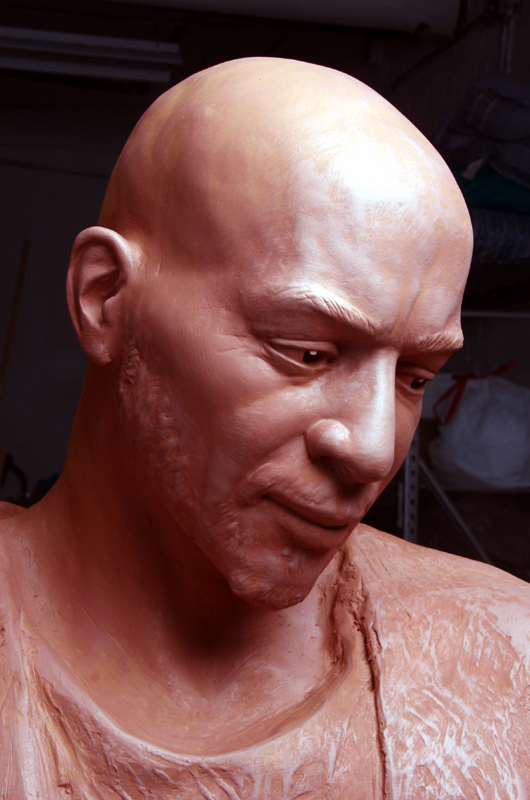 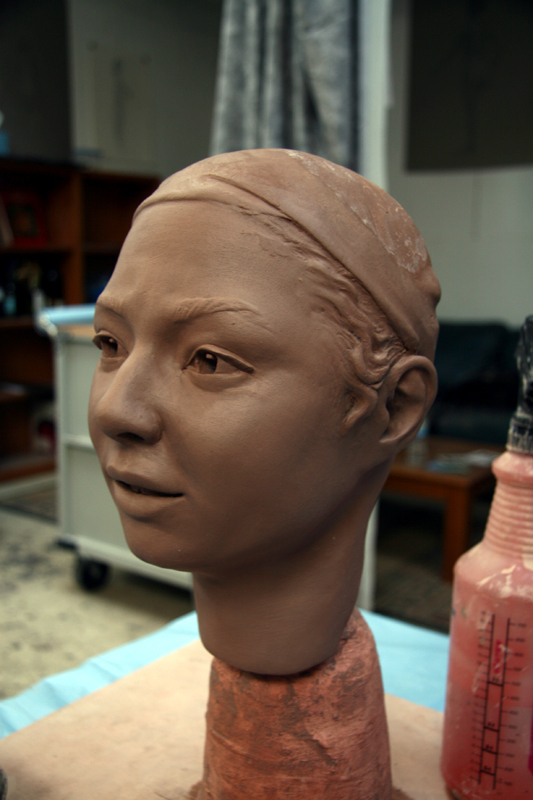 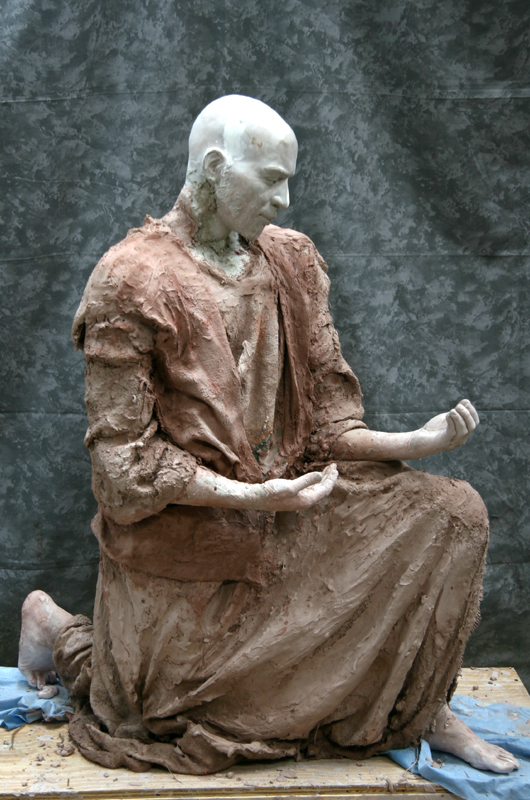 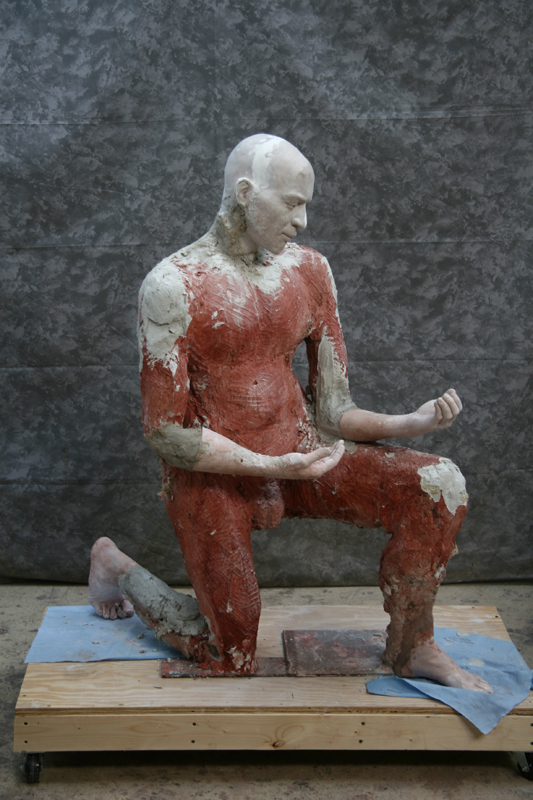 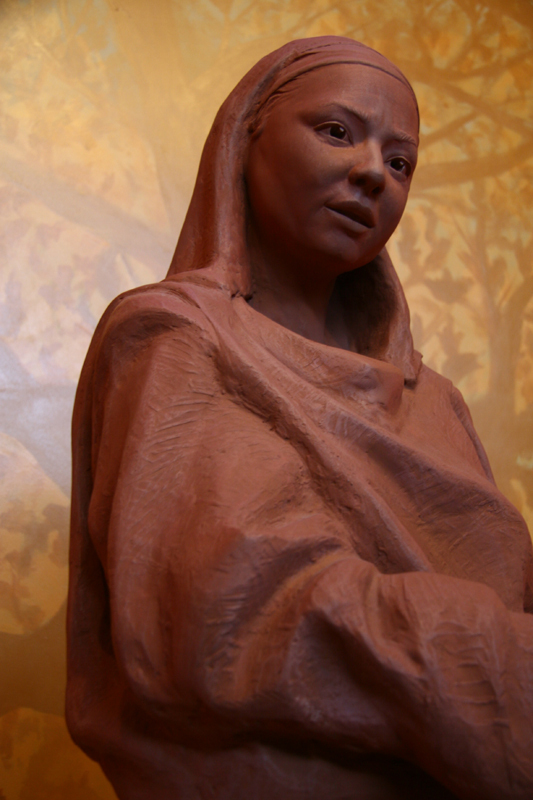 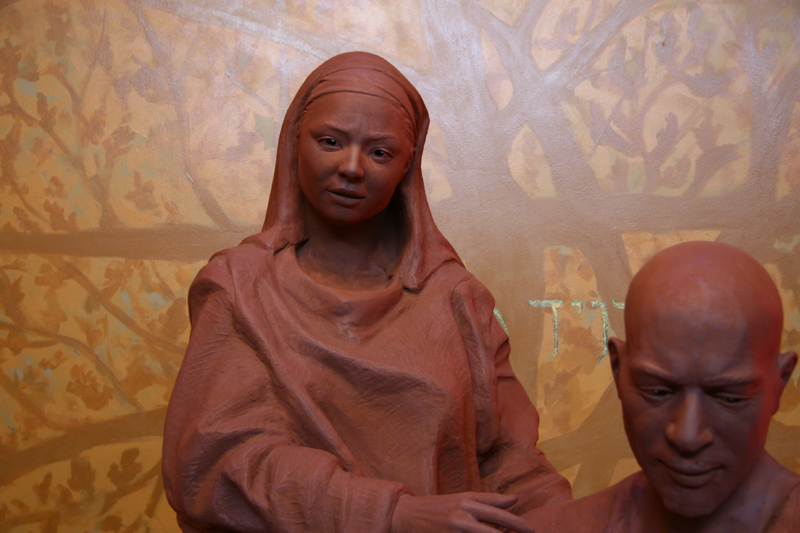 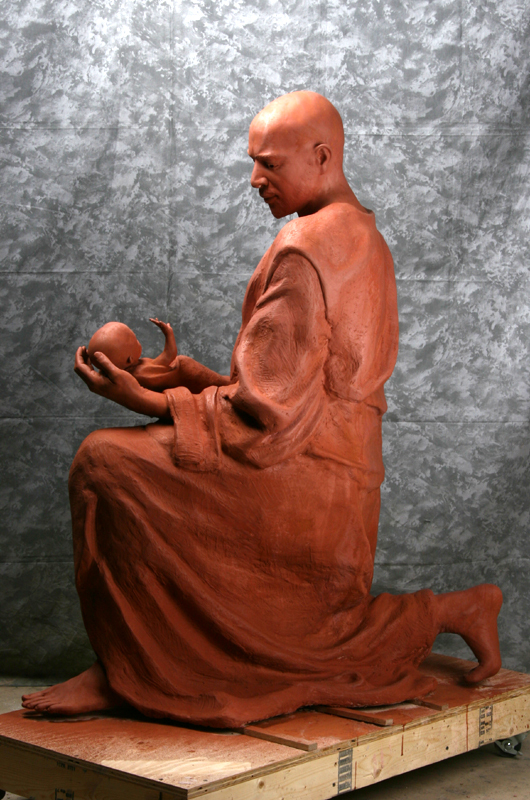 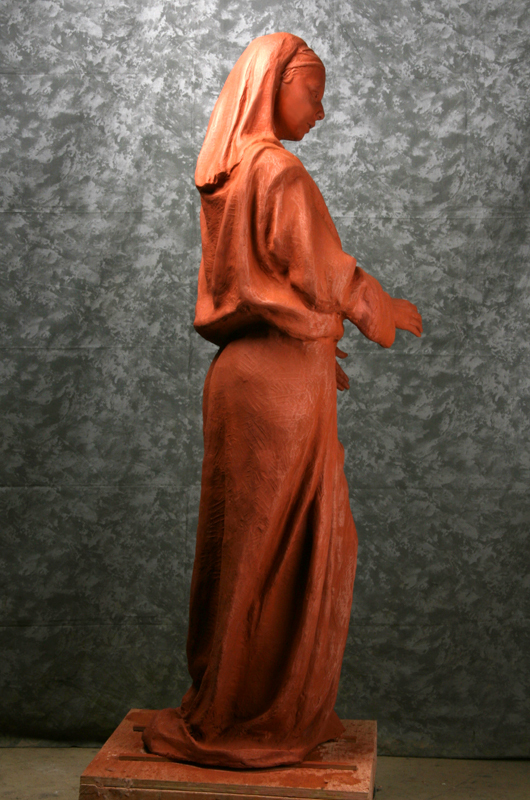 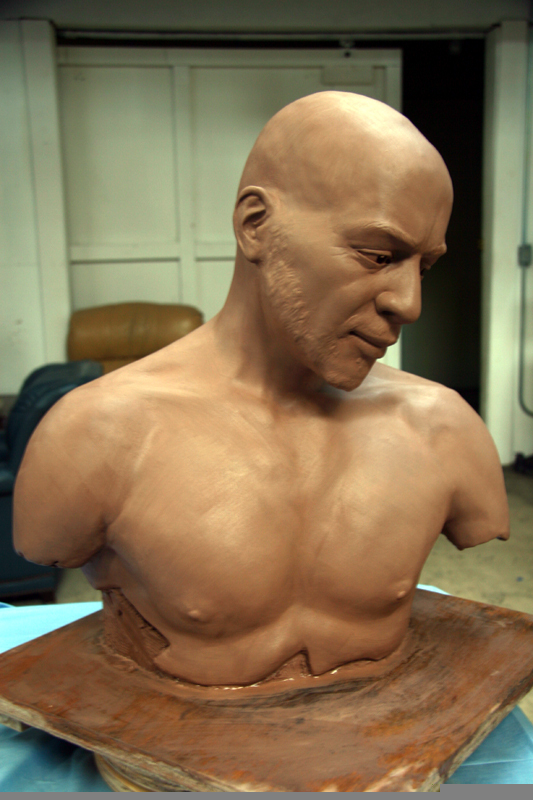 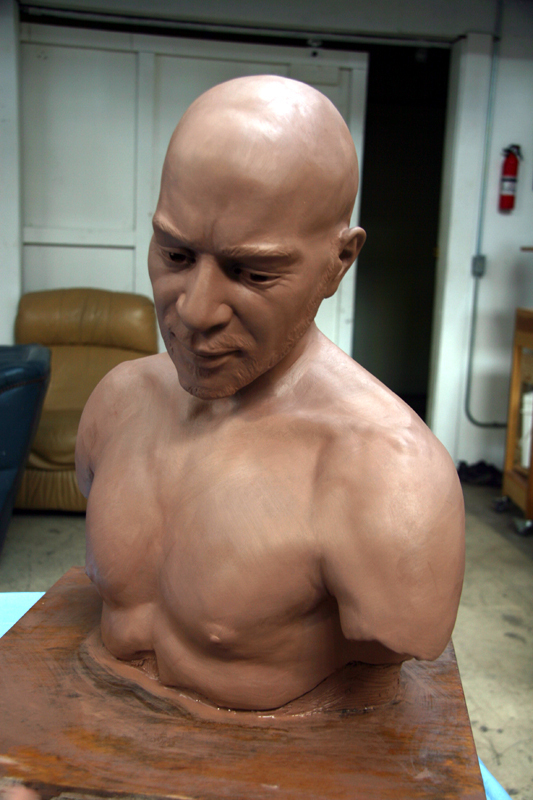 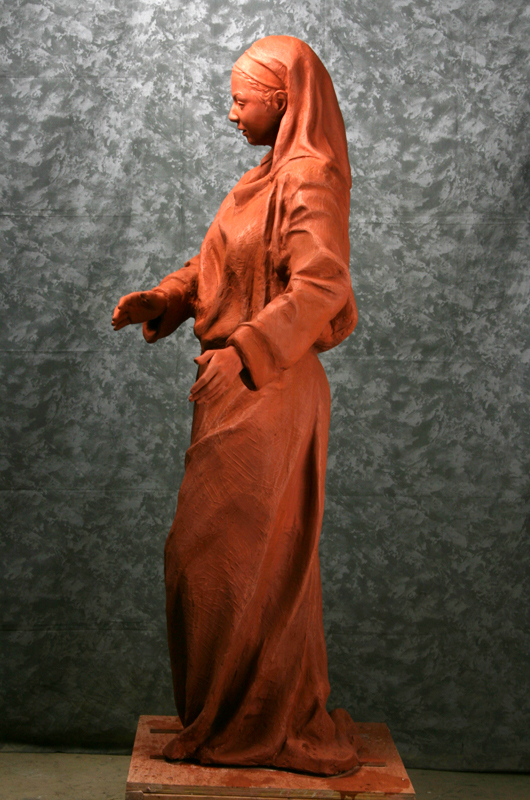 The robes and bodies were then sculpted in wet cement and dyed to look like terra cotta.